What the 10 Sefirot Reveal? Tonight is the hillula of the Arizal, one of the greatest kabbalists of all time and to whom we owe most of our understanding (even if only on a limited basis) of the Tree-of-life. It is in his merit that we share today new revelations about the Tree-of-life. And as Abulafia said, nothing gets revealed without heavenly permission; everything in its time. As you’ll see now is the time. Rabbi Chaim Vital of blessed memory, the Arizal’s prized student and redactor, explained that the Tree-of-life was directly connected to the 42-Letter Name through the 10 sefirot (dimensions and 32 Paths of Wisdom that interconnect them, but it seemed in conflict with other commentary that described it was 10 sefirot and 22 linkages for a total of 32. Nevertheless, what neither he, nor anyone that we know of, has ever written about is that the 42-Letter Name also connect to the Tree-of-Life through the 42 letters in the 11 Names of the sefirot (including the all-important balancing dimension of Da’at, located between Chochma and Binah). Now, we can’t tell you how they interact–anymore than Chaim Vital did over 400 years ago–but we do know, as the sages have told us, that it’s the understanding of the 42-Letter Name that will bring the geula (final redemption) and we can show you how the 42 letters of the 11 Names in the Tree-of-life mathematically spell out the date for the geula, the same date given to us by Rav Yehuda Halevi Ashlag, of blessed memory. But first let’s examine what a little understanding can connect us to. First and foremost we must understand that, as explained by Abraham in his Sefer Yetzirah, the Hebrew letters are the building blocks of the universe and that how they recombine determines both the physical and spiritual (energetic) structure of the universe, so they are a lot more than squiggles on a page. Every word and name they form has significant individual meaning with far-flung consequences we can’t see nor fathom. And it’s only through the translation of gematria and simple mathematics that we get even a glimpse into that deeper meaning and purpose. It’s well known from the writings of the Arizal that the initials of these sefirot (without the inclusion of Da’at connect to the 5 letters of the name Israel through it’s value (541+5 = 546), and some people know that the first 4 initials of the upper sefirot (Keter, Chochma, Binah, Da’at) add up to 32, as in the 32 Pathways themselves. But what no one has written about that we know of is that there are 11 sefirot, 22 outer letters in the 11 Names, and 20 inner letters, and that the ordinal value for the letter C, T, and R, spelling Keter (CTR) are 11, 22, and 20; therefore, it’s through the spelling of these 11 Names that we can eventually connect to Keter, the crowning sefira. And the timing for accessing that crowning level is found within the numerical value of the first and last letters of the 11 sefirot: 1985 plus 32 for the kolel of the 32 Paths equals 2017 (5778). Morever, the total value of the 42 letters in the 11 sefirot is 3342 and 3342- 11 (kolel) = 3331. 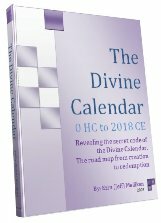 And 3331 years (66.6 jubilee years) from 2448 HC, when the Israelites left Egypt and received the 10 Commandments, equals the end of the year 5778 and a new beginning, for it’s in the beginning where we found the 42-Letter Name and the Tree-of-Life. A similar parallel exists between the structure of the Tree-of-life and 10 plagues that preceded the last opportunity we had for achieving the Tree-of-life reality. The 11 initials of the 10 plagues numerically equate to 541, the numerical value of Israel. The last two initials of the 11 words in the 10 plagues are M-B, as in the Shem MB, the 42-Letter Name. And with that, we’ll segue into the hidden spear in Washington DC that also points to 2018 (5778 HC) in our next article. 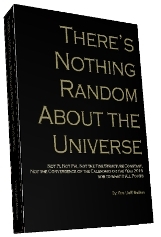 Author Jeffrey MeilikenPosted on July 15, 2010 July 16, 2010 Categories RevelationsTags 10 sefirot, 2017, 2018, 2019, 32, 32 paths, 32 paths of wisdom, 42, 5778, 5778 hc, abraham, abulafia, arizal, binah, chaim vital, Chochma, Da'at, final redemption, gematria, geula, keter, Mathematics, Rav Ashlag, Sefer Yetzirah, sefirot, shem MB, Torah, Torah Codes, tree-of-life, universeLeave a comment on What the 10 Sefirot Reveal?